With 31 luxury suites, a menu curated by famous D.C. chef José Andrés and culinary partner Levy, and an expansive view of the Capitol Building and D.C. landmarks, Audi Field offers an unparalleled experience in stadium hospitality. Fans’ matchday experiences will be taken to new heights in Audi Field’s premium areas, including its 31 luxury suites, a rooftop patio with expansive city views, a 10,000 square foot indoor lounge, and much more. 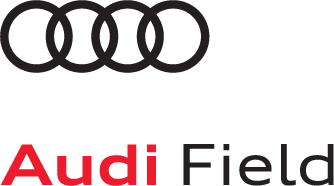 All premium members receive exclusive access to Audi Field’s club areas. Field level members enjoy access to the field level club in the northeast corner of the stadium, and all-inclusive food and beverage options curated by José Andrés and Levy. Club level members enjoy access to a 10,000 square foot indoor lounge and a 2,500 square foot outdoor patio, all-inclusive food and beverage options curated by José Andrés and Levy, pre-match dining reservation options, and a VIP private stadium entrance. The Audi Field experience extends far beyond the seats and the memories made on the pitch. From the fan plaza right outside the main gate, the rooftop patio with sweeping D.C. views, a re-imagined team store and a rooftop bar, Audi Field was designed with the fan in mind.